Charge shipping fees with every order on your free and open source SeoToaster web store builder thanks to our easy-to-configure cart weight or cart amount based computation. 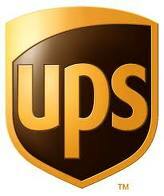 It is easy to provide accurate real-time shipping quotes from USPS, UPS, FedEx, and other shipping providers. If you don't see it there, feel free to contact us and request a custom development. When using one of the shipping plug-ins, tracking number captured into the customer area is then automatically linked to your shipping provider website allowing for instant and easy tracking for your web store clients.